Celebrate film and watch the Oscars LIVE on the big screen with your friends! 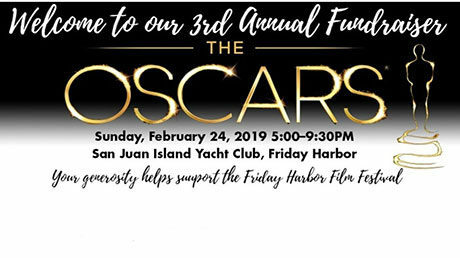 Doors open at 5:00 pm with live Red Carpet Coverage on the big screen, followed by the Oscar Ceremony at 6:00 pm. Enjoy a selection of delicious Gourmet Tapas & Beverages. Save room for the ever-popular Desert Dash! Walk the Red Carpet and pose for a photo or two. Prizes will be awarded for the best “Look Alike” Actress, Actor, Movie Couple, or simply come as the “star” that you are! Sip specialty crafted cocktails while viewing Silent Auction items. Then, Farhad Ghatan hosts our Live Auction bidding, which takes place during commercial breaks of the Oscar telecast. OPEN Tuesday – Saturday – 1-5 pm.